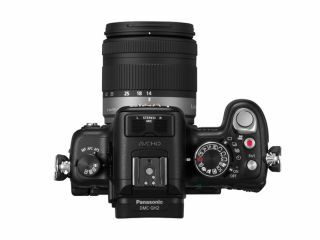 A spokesperson for Panasonic UK has described the "big opportunity" that Panasonic has in the additional lens market for its Micro Four Thirds G series of cameras. Panasonic was the first company to introduce compact system cameras to the market, back in 2008, and is still maintaining its number one position despite a recent flurry of competitor brands joining the market. There have been suggestions made in the past however that the sale of accessories for these type of cameras is limited. Speaking to TechRadar, Barney Sykes from Panasonic UK said, "It takes time to build a strong lens business, consumers will go out and buy that second lens, but not as soon as they've bought the camera." Panasonic currently has four lines in its G series, including the most recently announced Panasonic GX1. Sykes told us that that between April 2008 and September 2011, 133,000 Micro Four Thirds cameras had been sold in the UK, which accounted for 68% of all compact system camera sales, while Panasonic's market share during that period was 54%. Olympus shares the Micro Four Thirds format with Panasonic, so lenses are compatible with both brands. "We do have a big opportunity to sell these customers lenses, there's a potential for 133,000 customers out there to purchase additional lenses. "Because we have so many cameras, it's a little bit different. You probably wouldn't find a GF3 user buying a second or a third lens. "But users of the G3 are more inclined to learn a bit more about photography and to experiment." Sykes said that the popularity of the 25mm Leica lens, which was launched in August, took the company by surprise, having sold out until November. He also claimed the new X lenses, which includes the 14-42 power zoom lens were also performing well.